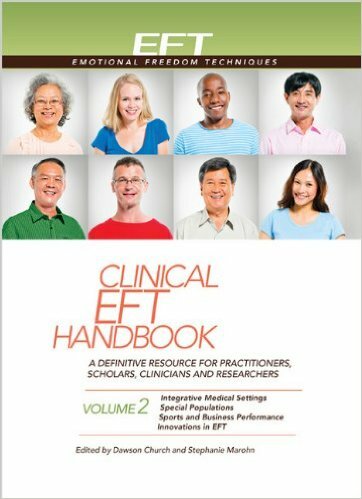 The term "Clinical EFT" refers to the "evidence-based" method that has been validated in research studies that meet the requirements of the American Psychological Association (APA) Division 12 Task Force on Empirically Validated Treatments. One of the 7 "essential" Division 12 criteria is that the method be described in a written manual. 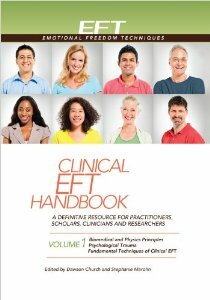 Clinical EFT is based on the method as defined in The EFT Manual and supplementary materials. 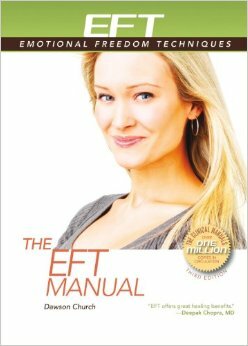 The first edition of The EFT Manual appeared online in 1995, with a print edition in 2008 and the current edition in 2013. The manual is supplemented by an extensive collection of case histories and commentary found on this site. Some 48 distinct techniques are described in this body of knowledge. 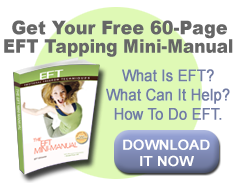 Clinical EFT has been validated by numerous studies in which EFT has been delivered with fidelity to The EFT Manual. 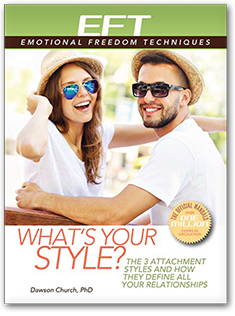 Research has demonstrated that Clinical EFT works quickly and effectively for phobias, PTSD, anxiety, depression, pain, and many other conditions. 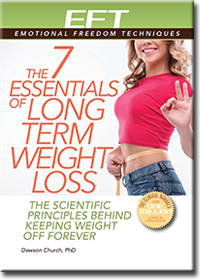 A current bibliography of this research is maintained at EFT Universe, as well as a full description of the APA standards. Training and certification offered by EFTUniverse conforms to the standards of Clinical EFT. CME (Continuing Medical Education) credits are available for medical professionals such as doctors (American Medical Association) and nurses (American Nurses Credentialing Commission), and CE (Continuing Education) credits for mental health professionals such as psychologists (APA), social workers (NASWB) and psychotherapists.